Workflow: who, what, where, when, why, how? E-Learning Educational Developer John Jackson, from the Centre for Learning and Teaching in Art and Design (CLTAD), provides an overview of the ePortfolio platform Workflow, one of the latest digital tools supported by the university. In doing so, he offers an alternative to blogs, and suggests that the general lack of awareness of this ePortfolio technology by staff and students is holding back its adoption across the institution. “The ePorfolio platform Workflow (http://workflow.arts.ac.uk) was launched several months after the blogging community http://myblog.arts.ac.uk was adopted across University of the Arts London (UAL). To a certain extent it lives in the shadow of its more familiar sibling – but it is a very different animal and in many key ways it offers much more to students and academics alike. Using Workflow it is possible to collate online resources which can be shared, and collaborated on, in a very granular manner with fellow students, tutors and indeed the whole world. One Workflow account may contain uploaded files (including images and even short videos), embedded resources (for example videos uploaded to Vimeo and YouTube and images sitting on Flickr and elsewhere on the web). 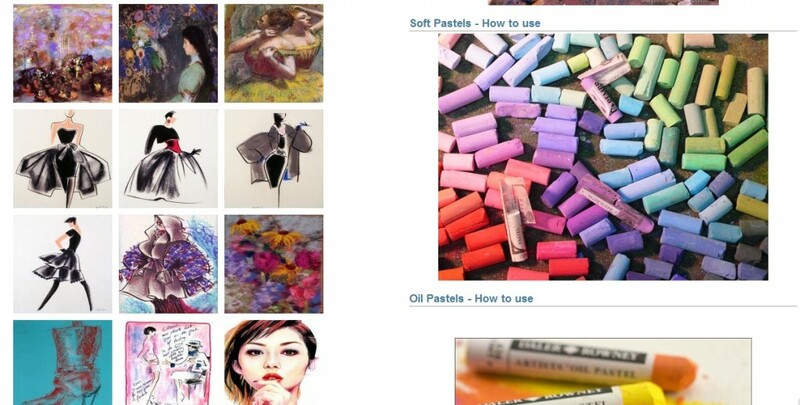 These uploaded and embedded resources and multifarious artefacts are then placed on ‘pages’ and occasionally in ‘collections’ ready for sharing with others – for example as part of a project collaboration. Users can also export their own content (files, pages and collections) from their Workflow accounts – for use elsewhere. Within Central Saint Martin’s (CSM) Workflow has been pioneered and used extensively by Cath Caldwell and her students on BA Graphic Design – this is documented comprehensively in the blog post at http://goo.gl/wfhoL. Recently, BA Performance Design and Practice has also started to use Workflow (with training and support for academics and students provided by CLTAD) and MA Culture, Criticism and Curation is planning to introduce its use in the new year. Several other courses have also started to explore its potential. London College of Fashion (LCF) has also pioneered the use of Workflow. For example, Ana Stankovic-Fitzgerald and her students have been using the tool extensively since it became available – particularly on Fashion Illustration short courses. Students on these courses are based all around the world and login remotely via ‘Wimba’(another digital service) for live sessions – which are supported and enhanced by resources Ana makes available on Workflow. Students also have their own accounts and collaborate, share and showcase their work in this way. Ana also encourages students on her studio based and degree courses to use Workflow. According to Ana, Workflow is excellent for any visual course and very user-friendly and straightforward, “especially since the recent upgrade”. 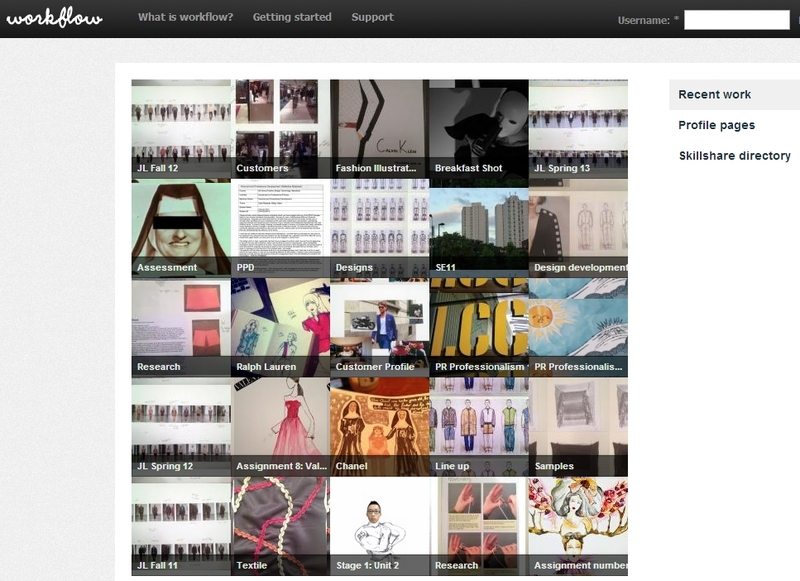 The Fashion Illustration courses are currently hosting and working with hundreds of images using the Workflow platform. Student feedback has confirmed Ana’s view that the platform is generally easy to use. Students also welcome the fact that they control how visible their work is to others, including the rest of the world. Students also noted that it is not obvious how they can export their work to other platforms (important when they finish the course) so screencasts are now being produced to highlight and hence simplify this process. Also at LCF, David Garner and his students on International Preparation for Fashion have been using Workflow to evidence their journey via the Journal option and the uploading of images and embedding of videos and other online resources. Students also use Workflow for collaboration and their final project proposal. David makes the point that his students have used the blogging platform and that Workflow has several key advantages. According to David, Workflow is more intuitive to use; it is also more holistic, in that it is not so tied to chronology; it is also initially unfamiliar and therefore whereas students may be familiar with blogs and therefore make assumptions about what is expected from them in their use of a blog as part of their course, Workflow is something new, as David says, “a tool rather than a culture” and therefore requires students to really think carefully about how they are using it. Student feedback from their use of Workflow at CSM and LCF indicates that they find it generally straightforward to use, flexible and effective. The CLTAD programme of continuous improvement seeks to address areas for improvement and introduce new features and functionality – such as the Skillshare Directory – http://goo.gl/JPJux – and better Pad compatibility. Unfortunately, currently it appears that lack of awareness of Workflow is limiting its use. In the opinion of one student who was recently asked how Workflow could be improved – “it should just be advertised more and students should be encouraged by tutors to use it”. Workflow is available at http://workflow.arts.ac.uk – to login and start using you just need your UAL username and password. This entry was posted in Case studies, Digital tools and tagged collaboration, csm, digital literacy, Digital Present, digital technologies, digital tools, eLearning, eportfolio, infrastructure, john jackson, learning, students, technology, tools, UAL, workflow by John Jackson. Bookmark the permalink.